Whether you’re an enthusiastic baker or have a love for baked goods, sticking to a healthy, nutritious diet can often be easier said than done. White flour may be the flour normally used for processed goods but consuming too much of it can be detrimental to your health. Fortunately, there are a number of wonderful, gluten-free alternatives that will not only provide a number of nutrients but will also maintain your baking dreams. Once a whole grain of wheat has been heavily processed, it is then bleached and the end result is white flour. As a result of the processing, white flour is stripped of a number of vital and beneficial nutrients that include fibre. There are also a number of preservatives and additives that have been added to white flour. This then means that refined white flour becomes quickly digestible and that is never a good thing. By being digested quickly, white flour creates a blood sugar spike and this then increases the risk for diabetes. 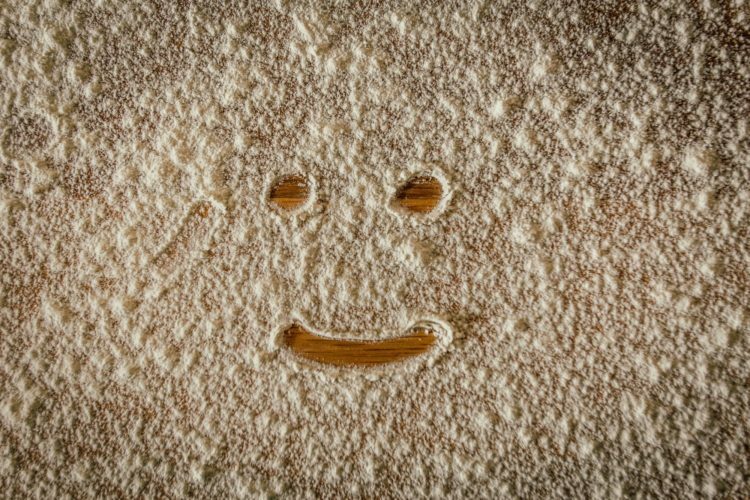 Other risks associated with consuming white flour include high blood pressure, heart disease, stroke, obesity, inflammation and depression. Thankfully, once you have eliminated white flour from your diet you can then replace it with one of the following healthy flours, each providing plenty of benefits due to their rich nutritious content. Almond flour is made by grinding nutrient-dense almonds, thus making it a gluten-free, nutty flour. Aside from it being the perfect addition to a gluten-diet, almonds are also rich in vitamin E, fiber, healthy fats and magnesium. The vitamin E content means that almonds can help one maintain the health of their hair, skin and nails as well as offer the body anti-oxidative protection. In being rich in magnesium, almond flour can help to manage the symptoms of type 2 diabetes. 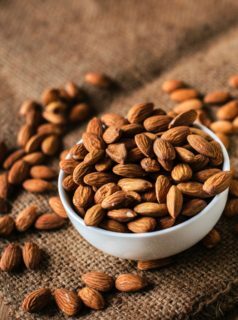 While white flour can increase the risk of heart disease by increasing the levels of LDL (bad) cholesterol in the body, studies have shown how almonds can help to lower the levels of LDL cholesterol in the body. Brown rice flour is made from ground-up brown rice and, as a result, it’s high in fibre, iron, B vitamins, manganese. While white rice flour does exist, processing has stripped it of more than half of the vitamins found in brown rice flour. Brown rich flour can be used to thicken soups and gravies. While it can be used for baking, it does not absorb liquids as readily as wheat flour thus it’s best to use it in conjunction with other gluten-free flours. 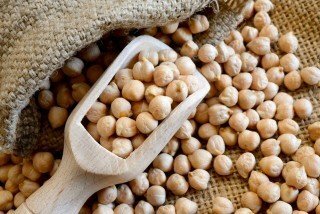 Created from ground chickpeas, chickpea flour is an excellent source of B vitamins, fiber, calcium, selenium and folate, which makes it an ideal flour for pregnant women. Chickpea flour can be whipped up to create crepes, pancakes, breads, or dumplings. As it adds texture, it can also be used to thicken soups. It is also a great source of plant-based protein – click here to find out why this should be a key part of your diet. Cricket (yes, I said cricket) flour is a flour made that’s made from roasted or dried crickets. Cricket flour is incredibly rich in protein and it also contains B vitamins, calcium and iron. If you’re looking to adopt cricket flour as your white flour alternative due to its, be sure to use it in conjunction with other flours as not doing so can result in dried baked goods. It has a nut-like taste, so don’t worry about having to train your taste buds. If you already have oats in the kitchen, simply pull out your blender or coffee grinder and grind them out. Oat flour is a whole-grain, cost-effective alternative that can help to lower both cholesterol and blood pressure levels. 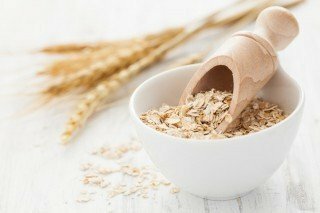 When purchasing oat flour or oats, be sure to purchase gluten-free oats as some regular oats are actually contaminated with gluten. Quinoa flour, like oat flour, can also be made at home. Simply take raw quinoa seeds and use a blender or coffee grinder to finely grind them until you have a flour-like texture. Quinoa flour is high in protein, contains calcium as well as all nine essential amino acids. It can be used to bake muffins and quick breads. However, when using it, be sure to use it with other flours as it can be very dry. While the jury is still out for coconut oil, coconut flour is a pretty good alternative to white flour. Coconut flour is made when coconut pulp is dried out and then ground up and this means that it’s rich in fiber and protein and it’s also low on the glycemic index which, according to a studies, makes it perfect in stabilizing blood sugar. Coconut flour can be used when pan frying meat such as fish and shrimp. 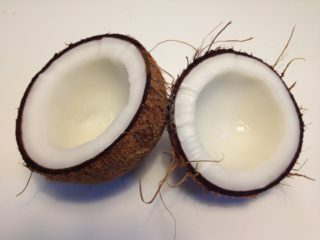 In regards to baking, coconut absorbs moisture rapidly so you might want to add more liquid ingredients to your baking recipe. Lastly, due to its saturated fat content, you will need to be mindful of which other ingredients you’re using when cooking. Sprouted flour is made from grains- be it spelt, corn, amaranth- that have begun to sprout and germinate. Sprouting is a process that’s used to rid foods of anti-nutrients. These anti-nutrients bind to essential minerals, thus preventing the body from absorbing them. As a result of sprouting, sprouted flour is rich in a number of vital minerals and vitamins that would have, in other cases, been lost. Sprouted flour can be used to create baked goods such as Ezekiel bread, cookies and crackers. While most of these grains will either need to be used in combination with each other or require the presence of leavening agents, their nutrient dense content makes them the perfect alternative to white flour. Click here for a delicious recipe on easy, 3-step nutty vanilla overnight oats.